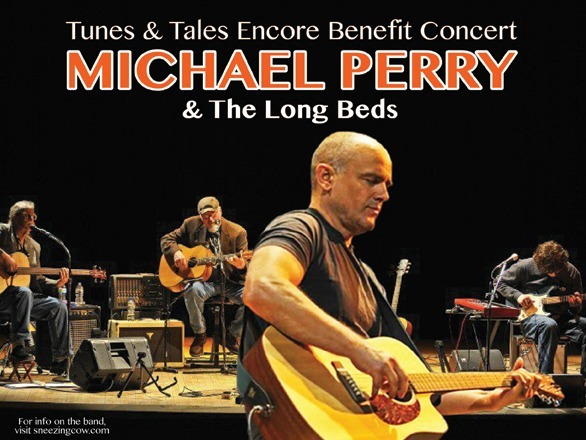 Posted on Apr 4, 2013 by Appleton Downtown Inc.
Join one of Wisconsin's favorite authors, Michael Perry, and his band, The Long Beds, for an encore evening of music and storytelling as part of the Fox Cities Book Festival. Mike and the band wowed the crowd two years ago at our special fundraiser, so being the very smart people we are ... we asked him back! His rousing roots music reaches a whole new level within the wonderful acoustics of the OuterEdge Stage, and his stories seem to take on a whole new meaning. The OuterEdge is an intimate venue, with limited seating so get your tickets soon! additional support from The Neuroscience Group and many other friends of the Book Festival.